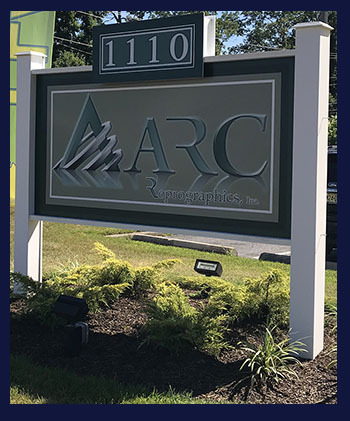 Founded in 1985, Arc Reprographics, Inc. had its humble beginnings in a 900 square foot facility on Main Street in Pleasantville. Arc quickly developed a reputation as a professional reprographics shop that always went that extra mile to exceed its client’s expectations. Arc Reprographics began to differentiate itself from other reprographics shops, by offering superior quality and services to construction and legal professionals. By 1990, Arc Reprographics had expanded its Main Street location to 3000 square foot located in 4 different buildings, adding equipment, delivery vehicles and personnel to handle the increased workload. With its eyes to the future, Arc built and relocated to its current facility on Route 9 in Pleasantville. With the additional room, Arc became the only local "Full Service" reprographics shop expanding its Full Color Copying, Large Format Black & White Copying, Large Format Color Printing, Mounting & Laminating, and a Graphic Design department. By 1998 the dynamics of the traditional reprographic shop began to shift toward Digital Technology. True to form, Arc Reprographics embraced this new business model and jumped into the digital world. Arc Reprographics replaced the existing analog equipment and invested heavily in a completely new computer network and in high-speed, high-volume digital equipment with color capabilities. Today, the company commands over 6000 square feet of space and our easily recognizable company vans canvas the South Jersey area.